Yumi Jeung is a journalist based in Seoul, South Korea. Started her work as a journalist in one of the Korean major newspaper, Hankyoreh(hani.co.kr). Covered education issues as feature stories. In the meantime, she nominated as a representative of Korean young correspondents by Finnish Foreign Affairs. And became the first Korean participant for the Foreign Correspondent Program 2015. In January 2016, Korean non-profit organization for disabled, 'we first.or.kr' nominated Yumi as a 'Monthly Story Winner' by the story covered the Biomedical Engineering education program in Korean Secondary School. From May 2016, Yumi joined the education innovation organization 'FCN(Future Class Network)', and started another career as an education innovator. 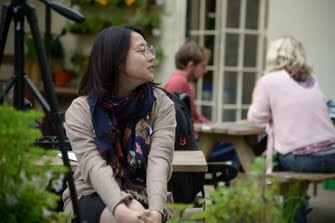 Her job is to collect diverse education innovation stories from all over the world. Recently she contributed to a Public TV program 'Future2030' by KBS as an international interviewer. KBS, Korean public broadcasting system featured the theme 'Future2030'. The episode I contributed is about future education. In the process, I was in charge of interviewing Andreas Schleicher - Director for the Directorate of Education and Skills, and Charles Leadbeater - British author and former advisor to Tony Blair. While in Helsinki, I could have a chance to contribute to the daily newspaper <Kauppalehti>. The story litely covers differences between education in Korea and Finland. While working for Hankyoreh, I was in charge of the weekly education section. 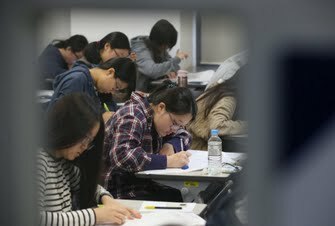 This story is a long analysis on Korean Essay Test for University. First full-page story for me yet the impact was quite big. Received many supporting mails by students, teachers and parents. Was a big motivation for me to challenge. As a representative of Korean young journalist, I was one of the participants in Foreign Correspondent Program by Finnish Foreign Affairs. The basic idea of the program was to invite a young journalist from 21 different countries and gather them in Helsinki for 3 weeks to let them see how Finland works. In the meantime all participants had to write at least one post for a given topic. And this is my work.